A large number of caravan parks in Tasmania welcome dogs or other pets so no need to leave your beloved pet at home when you go on leave. 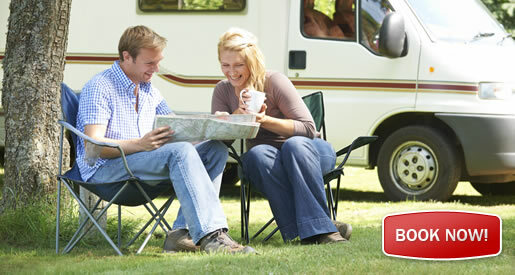 When booking, make sure you always check first with the caravan park because they simply don't allow pets. Many caravan and cabin park operators in Tassie recognise that for many of their guests recognise that the pet is just another member of the family. Therefore many provide the flexibility to choose from a range of dog-friendly camping, caravan, and self-contained holiday destinations across Tasmania. Pet-Friendly Holiday Parks on this website are identified by a DOGS OK icon, or use the search to find a park that suits you, your family and and your pet. To ensure the safety, comfort, and wellbeing of all guests staying in caravan parks in Tasmania you must always keep your dog under control, and don't allow then to bark, roam unattended and bother other guests. It can be a terrible dilemma for many people going on holidays and not being able to take their pet dog or other pet with them. Dogs are often part of the family, and you can't stand the thought of sending your beloved pet dog to boarding kennels or a friend or family member. We hope to make the task easier for you by listing all caravan parks, tourist and cabin parks in Tassie that allow dogs. But please note, if you are on a caravan holiday in Tasmania National Parks don't allow dogs or pets under any circumstances.